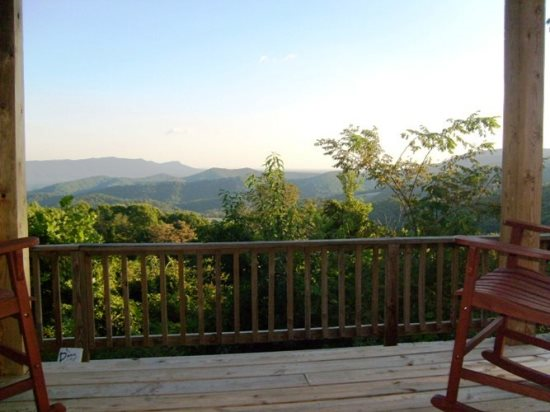 Nestled among the trees on the side of a mountain, a natural haven in the middle of nature with breathtaking views from a large wraparound deck just encouraging you to spend time outside. 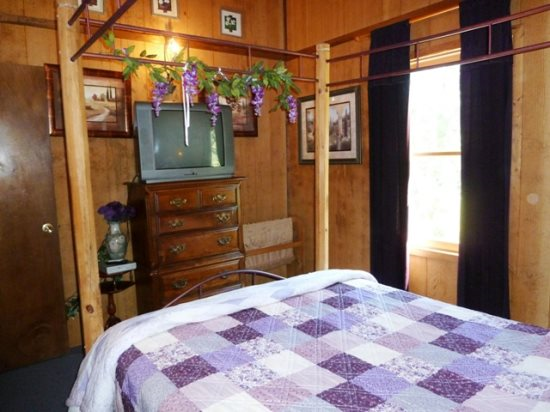 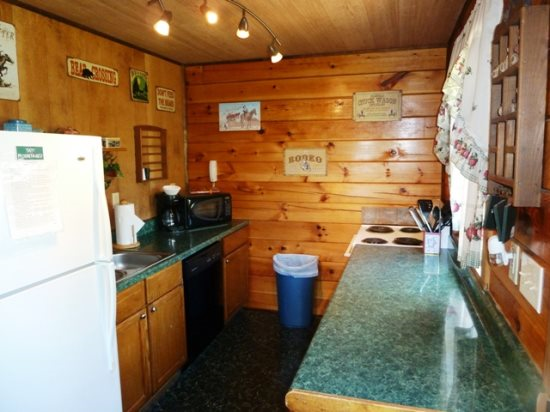 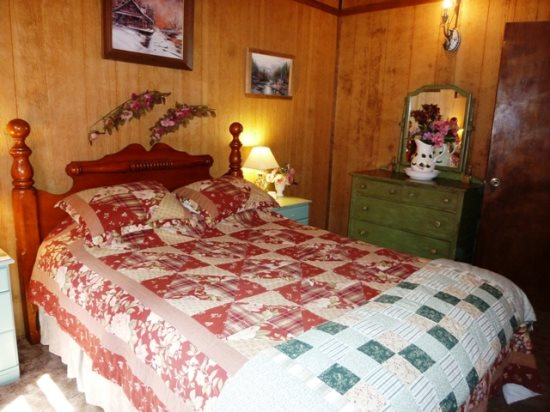 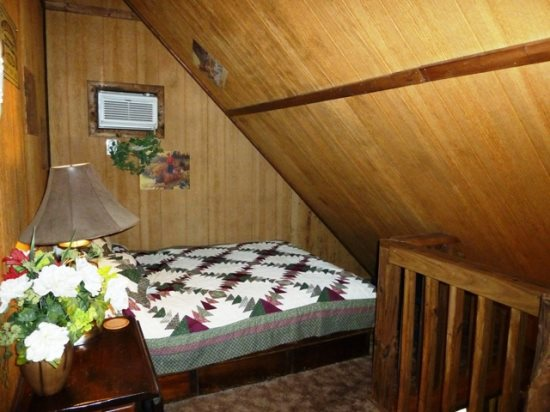 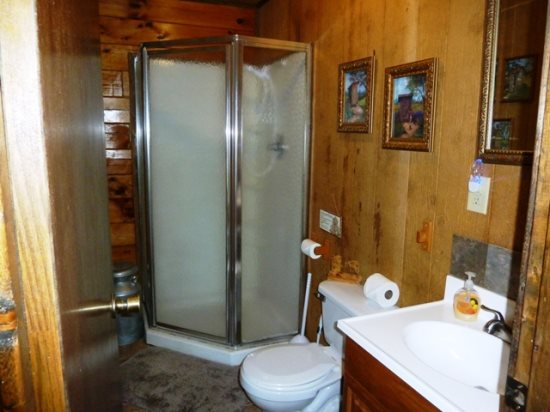 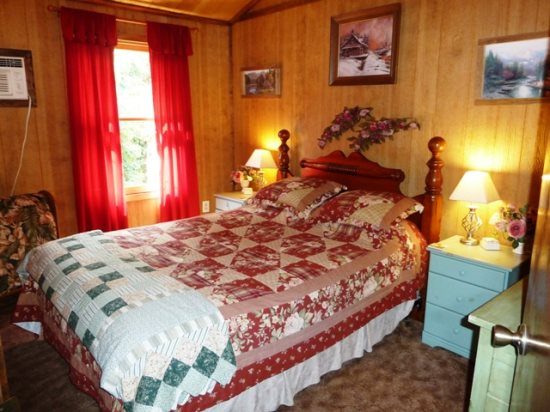 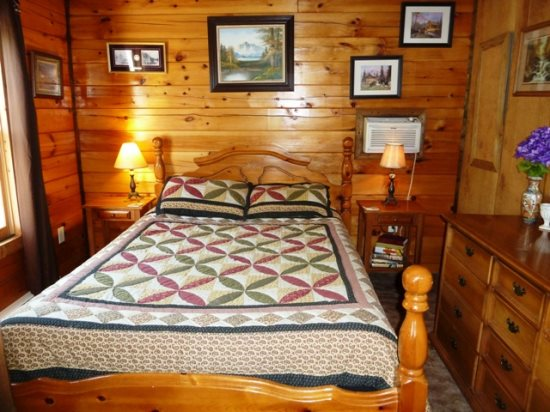 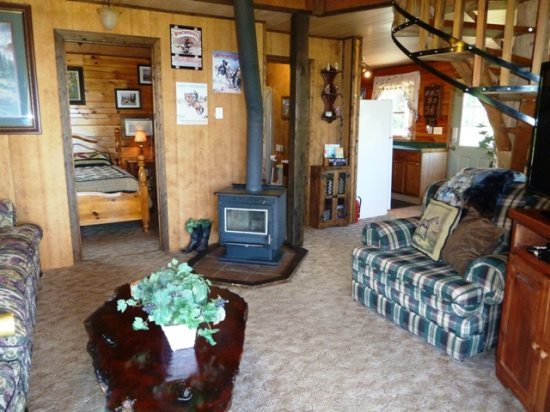 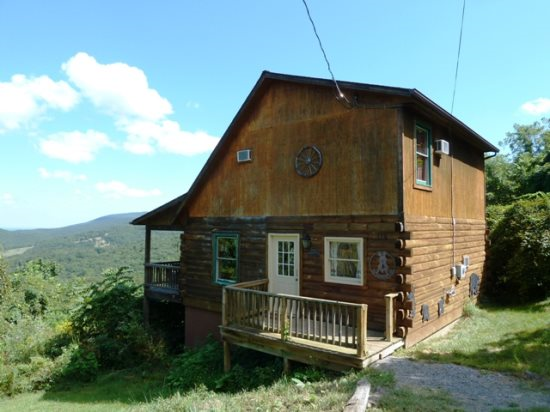 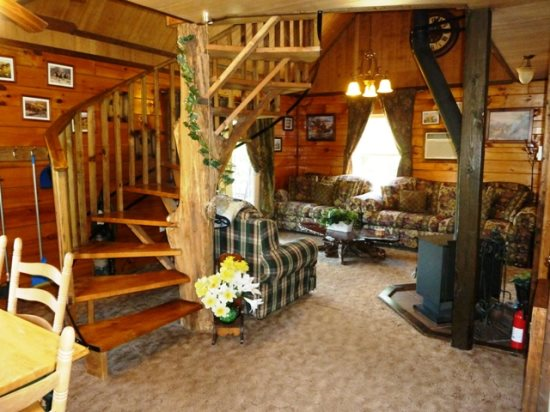 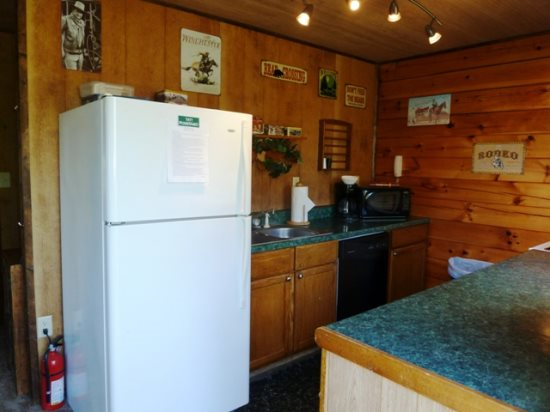 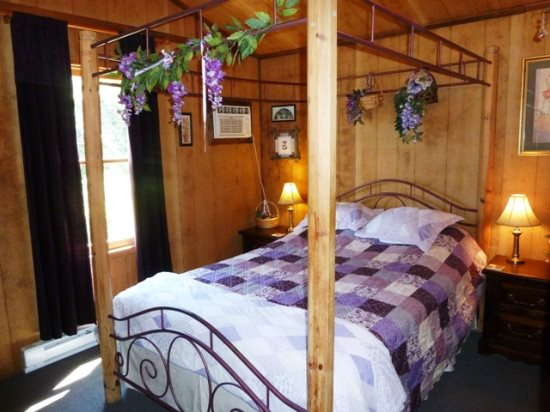 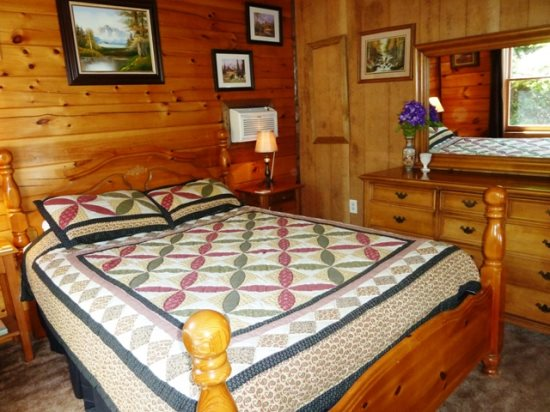 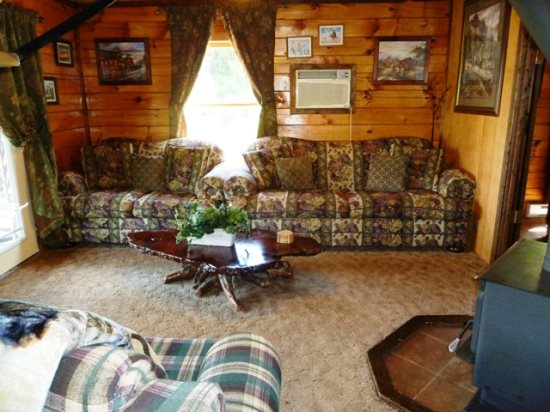 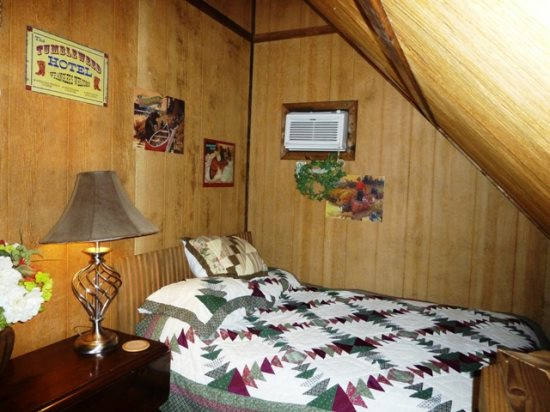 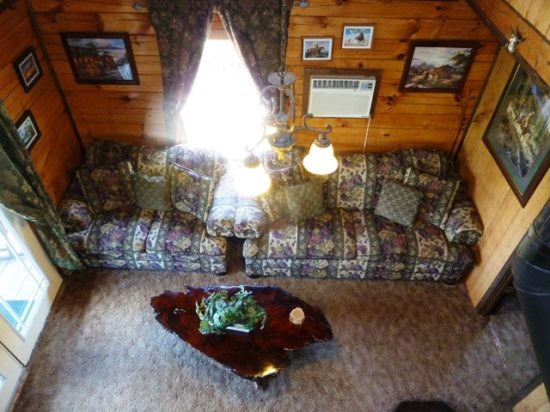 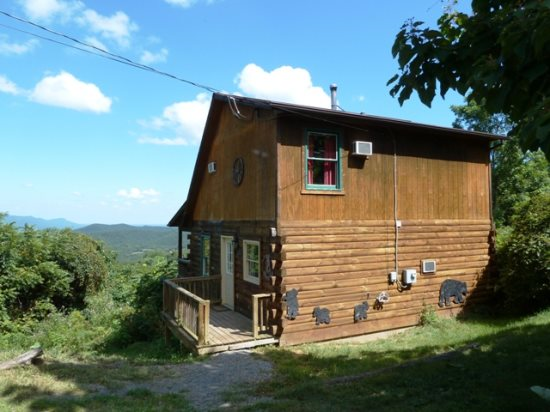 The cabin offers something special; a relaxing, romantic, tranquil, retreat to rejuvenate and renew the spirit. 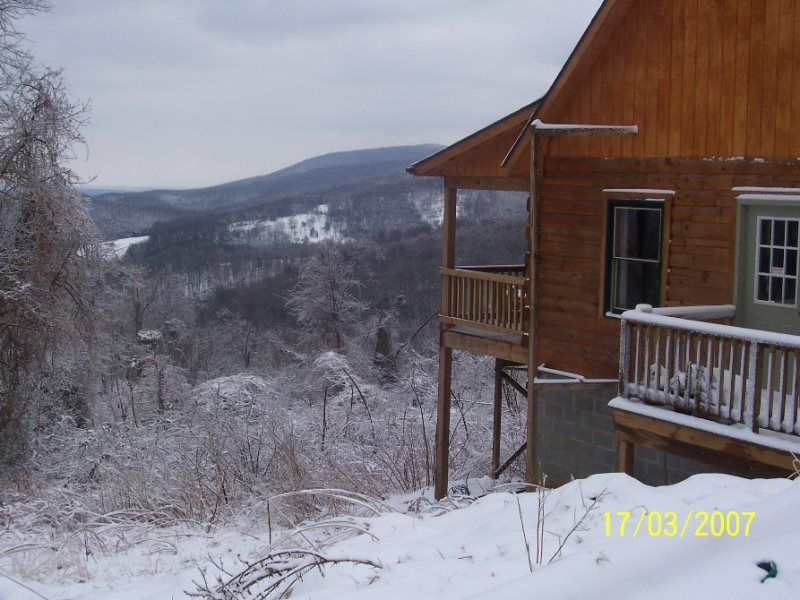 A peaceful, cute, comfortable escape, with majestic views, each season offers something different but always beautiful. 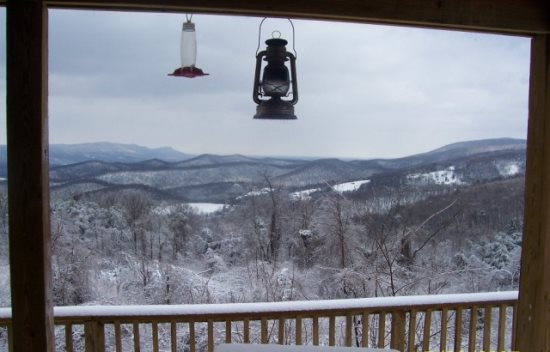 Dine indoors during winter months, with roaring log fires, candlelight, and music. 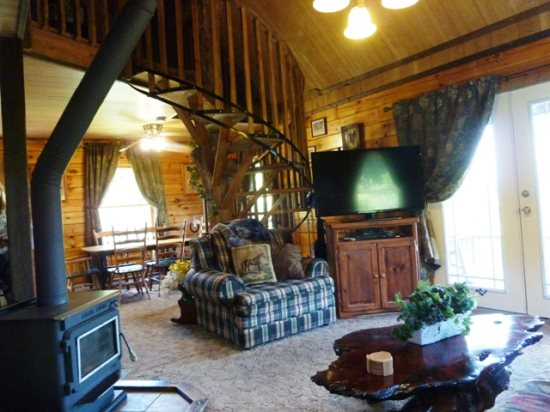 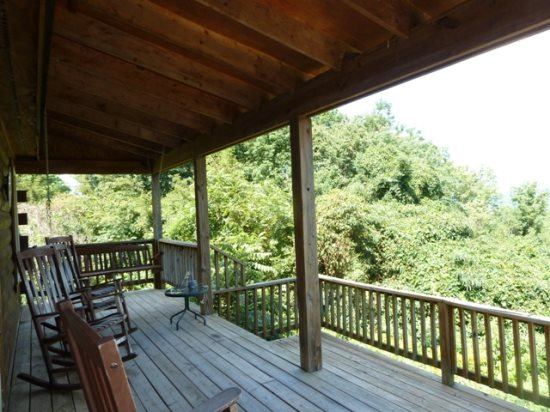 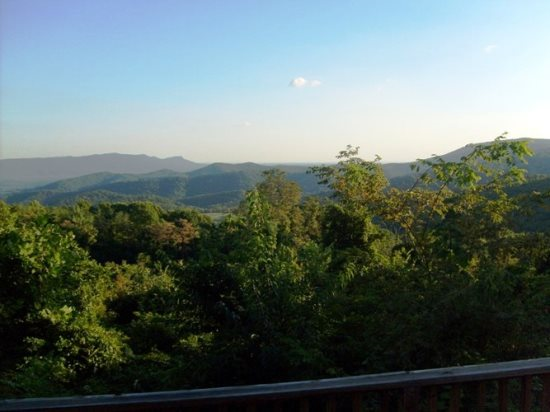 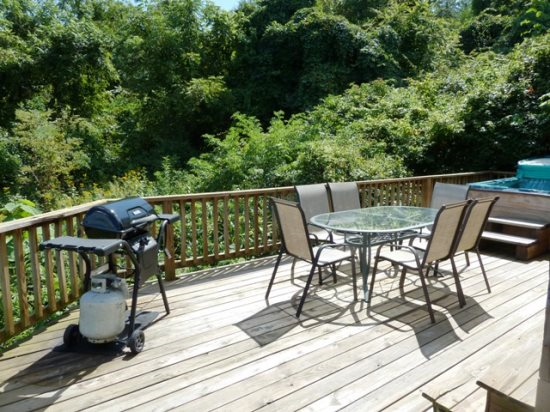 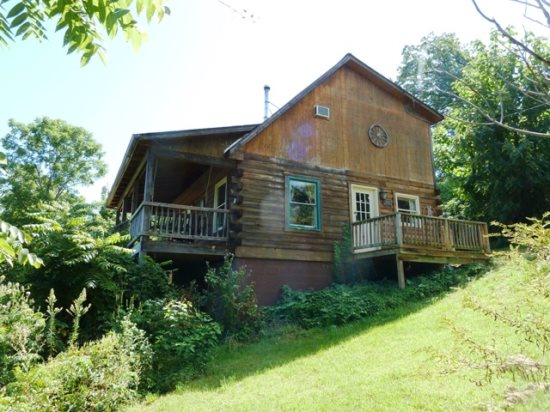 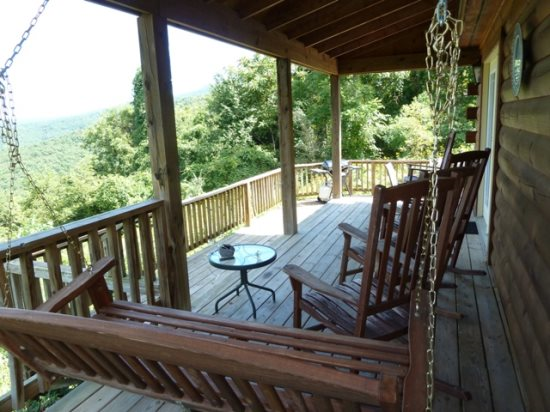 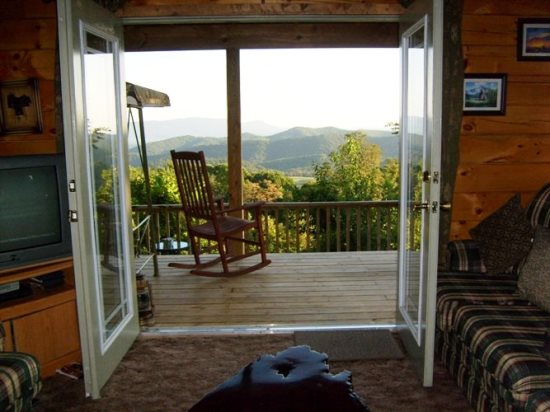 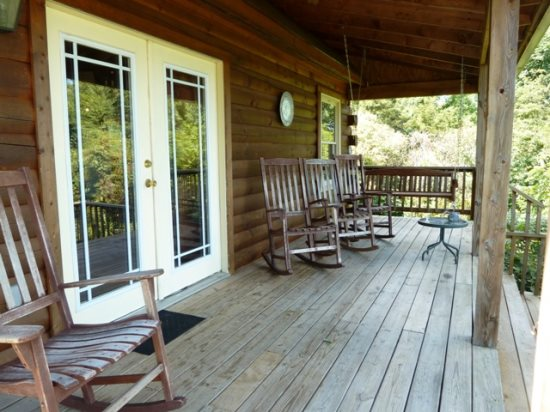 Relax and dine outside during summer months on the large wraparound deck with BBQ grill and enjoy sunsets over the mountains for that real country cabin experience. 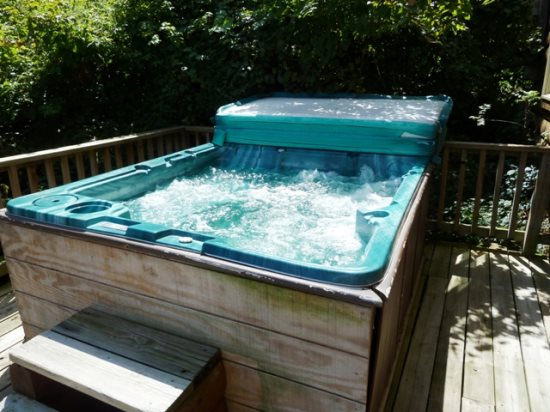 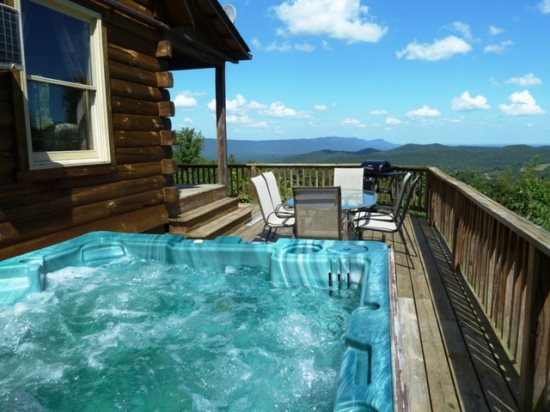 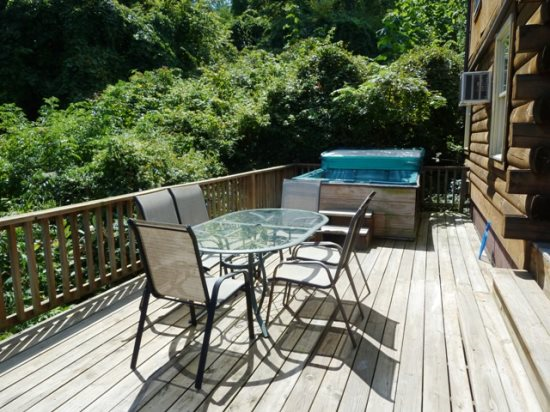 Get in the Hot Tub on the private side deck to soothe while watching the moon and stars. 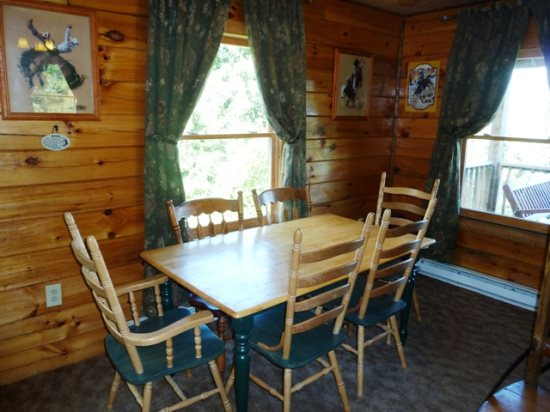 The dining room and Livingroom have beautiful views overlooking the valley and mountains. 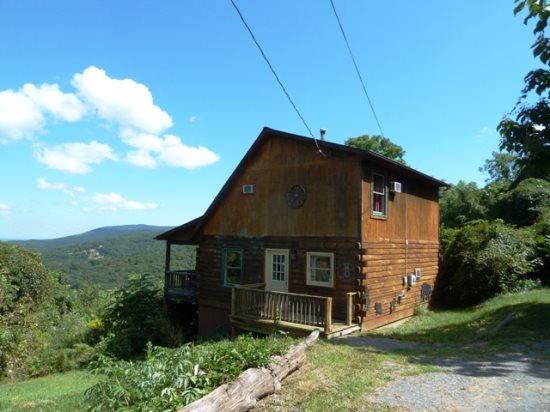 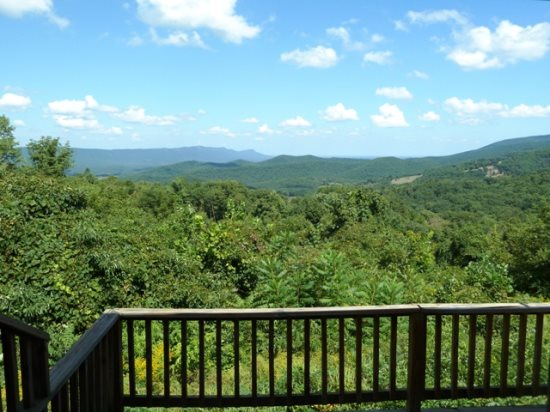 Massanutten Resort is 35 miles away, Luray Caverns is 11 miles, Thornton Gap Entrance to the Shenandoah National Park is 19 miles away, and 20 miles to the George Washington National Forest Story Book Trail.